Shumovsky, Arsen [Арсен Шумовський] – mechanical engineer, specialist in metal welding, active in community affairs; born on 25 June 1887 in the village of Myrohoshcha (Dubno raion, Rivne oblast, Ukraine; at that time – Dubno county, Volyn gubernia [Volhynia], Russian Empire); died on 26 March 1967 in Toronto, Canada; buried in Park Lawn Cemetery, Toronto. Brother of Peter Szumowski. Shumovsky attended a seminary in Kremenets for one year, then a Realschule secondary school in Rivne. In 1906 he enrolled in the Institute of Technology in St Petersburg, Russia. He was active in the Ukrainian Students’ Society in St Petersburg and in the local Hromada society. After completing a five-year course of study he began working on a dissertation on the subject of agricultural machinery. With the outbreak of the First World War, however, he was called up to the Imperial Russian Army as an officer in the artillery reserve. After the Revolution of February 1917 he played an active part in the Ukrainisation of the 10 Army Corps which was deployed in Bukovyna. At the beginning of December, holding the rank of lieutenant, he became deputy head of the political department of the General Secretariat for Military Affairs of the Ukrainian People’s Republic (UNR). In 1918-1919 he was an engineer on the Zhmerynka-Kyiv railway, and in 1920 he worked in the office of the chief commissar of the UNR government in Zhytomyr. After enrolling in the Kyiv Polytechnical Institute, in the summer of 1921 he defended his dissertation and gained a degree in mechanical engineering. He began to work as an assistant lecturer at the Institute, but in late 1921 decided to leave Ukraine to avoid repression for his involvement in the Ukrainian liberation struggle. For a short while he worked as a gymnasium secondary school mathematics teacher in Dubno and then, in early 1922, he moved to Prague where he worked as a factory engineer. He was a member, from 1922, of the Lviv-based Ukrainian Technical Society and published articles in the Society’s periodical Tekhnichni Visty. In 1923 Shumovsky moved to Poland and joined a locomotive manufacturing works in Chrzanów, where he worked until 1941 as superintendent of the assembly workshop and of the forge, and became a leading locomotive designer. He pioneered a new method of metal welding using austenitic electrodes, and in June 1936 he gave a paper, entitled The Light All-Welded Railcars on Polish State Railways, at the 12th International Congress of Acetylene, Oxyacetylene Welding, and Allied Industries in London. Several articles by him were published in the Inżynier Kolejowy, Spawanie i Cięcie Metali (1934) and Przegląd Mechaniczny (1936) journals. He was a member of the Lviv-based Shevchenko Scientific Society (from April 1938), the Warsaw-based Ukrainian Military History Society (1930-39) and the Association of Ukrainian Emigré Engineers and Technicians in Poland, and contributed to the latter Association’s bulletin (Visti). For several weeks from mid-September 1939, at the beginning of the German occupation of Poland, Shumovsky acted as temporary director of the Chrzanów locomotive works. In the autumn of 1941 he moved to Rivne where he became head teacher of a technical college, and he also began to organise such colleges in Kovel and Lutsk. From the autumn of 1942 he worked in the offices of the Sugar Board of Ukraine, initially in Zhytomyr, and subsequently in Kyiv and Rivne. In April 1944, in Lviv, he joined a group of engineers from the Transport Institute in Dnipropetrovsk (now the city of Dnipro) who were being evacuated by the Germans, and made his way with them to Austria, where he worked in a locomotive repair depot in Linz. In the autumn of 1945 he moved to Germany, where he lived in displaced persons camps and worked in Munich in a Ukrainian refugee relief organisation (Sanitarno-Kharytatyvna Sluzhba). In the autumn of 1948 he moved to France where, for a time, he lived in the household of his brother Pavlo. By virtue of contacts which he had established in the 1930s with British engineers, Shumovsky was invited to work in England. Arriving in the UK in September 1948, he joined a plant of the Metropolitan-Vickers Electrical Company in Manchester as a designer and draughtsman, and designed fully welded parts for the first gas turbine locomotive to be built in the UK and for electric locomotives. He became a member of the Institute of Welding. Until the end of 1948 he remained a member of the executive of the Bavaria-based Relief Board for Ukrainian Students (KoDUS). In August 1950 he was appointed to the financial oversight committee of the General Board of the Ukrainian Autocephalous Orthodox Church in Great Britain, and in September 1950 he became a member of an initiating group for the formation of the Society of Ukrainian Engineers in Great Britain, which came into being in January 1951. From 1949 he was a member of the Shevchenko Scientific Society which was revived after the Second World War in Germany. In the same year he began to submit material for the first publication of the Ukrainian Research Institute of Volyn in Canada (Volyn u borotbi za voliu Ukrainy, Winnipeg, 1952). In February 1951 Shumovsky emigrated to Canada where he initially worked in Toronto. From 1952 to 1957 he worked as a senior welding engineer for Vulcan Iron and Engineering Limited in Winnipeg. Returning to Toronto, he joined the Canadian Welding Bureau where, until 1965, he headed a department responsible for the training of welders and edited the company’s Welding Digest. He was a member of the Ukrainian Technical Society in Canada, the Canadian Welding Association and the Ukrainian Engineers’ Society of America (UESA), and contributed articles to the Canadian Machinery Manufacturing News, the Canadian Welder and the bulletin of the UESA (Visti ukrainskykh inzheneriv). In addition to his professional work, he was involved in a wide range of activities within the Ukrainian community. 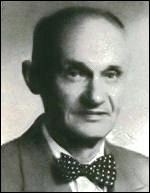 He was a member and a research associate of the Ukrainian Research Institute of Volyn in Canada (from 1952 to 1954 he was its head), a member of the Shevchenko Scientific Society in Canada, and a corresponding member of the Ukrainian Free Academy of Sciences in Canada. He headed a committee formed for the purpose of publishing a novel by the author Leonid Mosendz entitled Ostannii Prorok (The Last Prophet), and his own essay on the Pochaiv Monastery in Volhynia, entitled Poklin Sv. Pochaivskii Lavri, was published in Toronto in 1962. He contributed to the Litopys Volyni journal (1953-1966), the Homin Ukrainy newspaper, the Bulletin of the Ukrainian War Veterans’ League in Canada and other publications.